I could pretend that I don’t like to be offered nice little things to try in the name of reviews, and many I don’t like to take on, but when I get the chance to try something grown up for me AND involves gorgeous goodies from Hotel Chocolat, there is no way that I could ever say no. Chocolate has a habit of making even bad days seem great, so a chance to treat the family with something special just had to be done. Hotel Chocolat sent me this wee gift in the post, which was received as a most welcome surprise. 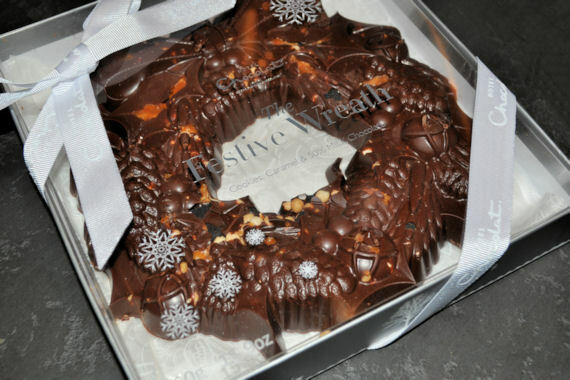 It’s a Festive Wreath, made of 50% cocoa milk chocolate with cookies and caramel. At 400g of quality chocolate, there is a lot to go round. The lovely card that comes with it makes it perfect for a Christmas Gift, ideal for sharing, or even as the After Dinner Chocolate treat on Christmas Day. How impressive does this look sitting on a slate to be divided up amongst the family. How amazing would that look on the hostess table on Christmas Day? The website says it serves 8, but my wreath has been going for a few days now, with 5 people having little nibbles of it every day. The instructions say to slice it and serve, which was a good idea as there is no way to break it. 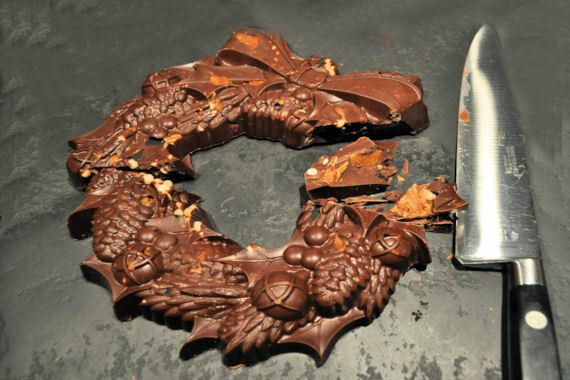 The chocolate is very thick and without a knife, the chunks would either be huge, or difficult to break off. It really does go a long way. We still have about a quarter of our wreath left, and we’re saving it for film night this week. Remember that this is a quality 50% cocoa milk chocolate, so it’s not the soft and fluffy texture of the cheaper chocolates. It’s £20 in the online store, but we’ve had days of eating out of it. 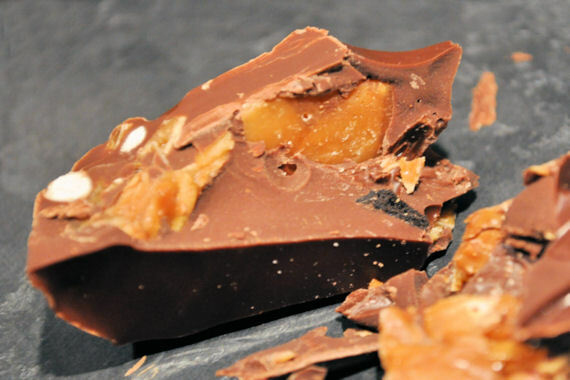 As a gift for someone who enjoys good quality chocolate, it is a really pretty thing to give. 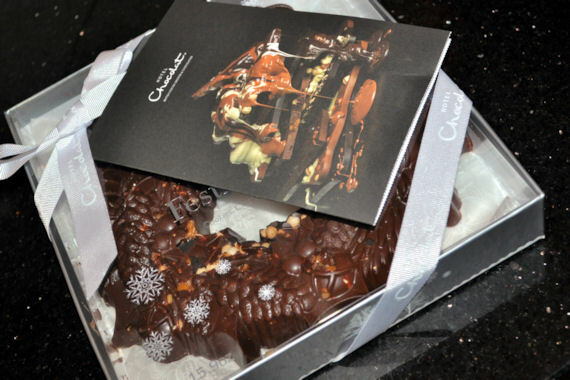 Hotel Chocolat kindly sent this lovely Festive Weath for review. As someone who loves chocolate, there is no way that this review was ever going to be anything but amazingly positive. A big thank you from us. This looks divine, not to be hung out on the door though! That looks INCREDIBLE! Bugger the diet, I can’t wait to get stuck into some Christmas tats! Treats. Not tats. I don’t want a Christmas tattoo. I love Xmas, but not that much! !